And, conveniently, today I came across an archived article from 2010 at WSJ.com that addresses the value of views to well off 2nd home buyers. 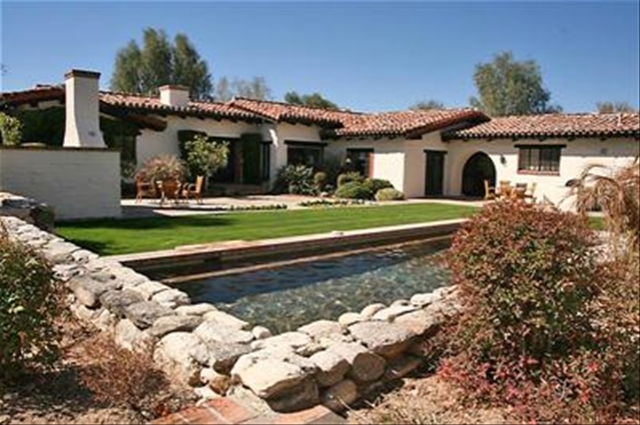 And it goes without saying that many of our high-end Catalina Foothills home buyers are 2nd home or retirement home buyers. When the wealthy buy a primary residence, their top three priorities are fairly predictable. “Reputation of the area” is first, which translates to the “right address.” West Palm Beach, Fla.? Wrong address. Palm Beach, Fla.? Right address. According to the annual Wealth Report from real-estate brokerage Knight Frank and Citi Private Bank Wealth Report, the second priority for rich primary home buyers is security and the third is design. Size ranks fourth, while price ranks seventh and proximity to schools is last. When it comes to buying a vacation home, however, the priorities of rich real-estate buyers gets scrambled. Their first priority? View. Second is climate and third is reputation of the area. Price ranked fifth (slightly higher than the primary-home ranking) and proximity to schools again ranked last. This is a report by a real-estate firm, so not surprisingly, the survey found that the wealthy are bullish on buying real estate. And more wealthy investors in their survey cited property as a “good investment” this year than any other investment class. Half said residential real estate would be the best-performing property asset class in 2010. In other words, add large grain of salt. Still, the fact that “view” ranked above climate, reputation, price and size for vacation homes bears considering. What the wealthy want from a vacation home is to get away from it all. A giant window overlooking the waves or sunset or white-capped mountain tops can help wipe away a lot of stress. Who cares about the address? Maybe high-end home builders should focus less on creating non-view homes in the same high-end neighborhoods (i.e., Aspen, Colo., Palm Beach, etc.) 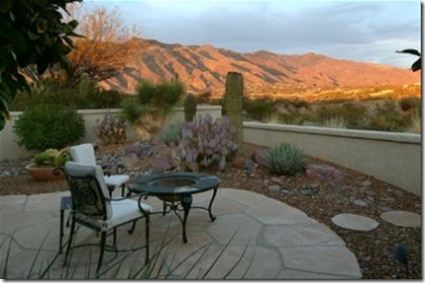 and more on selling homes in lesser locales with great views. How do you rank “view” in your second-home priorities? You can remodel the kitchen and the baths, get rid of the fuzzy carpets and the popcorn ceilings, but you can’t remodel the view. An article on WSJ.com makes a number of good points about 2nd home markets. And quite a few apply to the Tucson Foothills, and some of which I’ve mentioned on the blog. Real estate has been busting out of its long slump, but many vacation spots are lagging behind—and that is good news for buyers. Home prices nationally have risen at their fastest annual rate in seven years, with some communities seeing double-digit price gains as buyers compete for a thin supply of properties. Many vacation-home markets, though, are recovering at a slower pace and the choices for buyers remain plentiful, say real-estate experts. As the economy recovers, second-home markets are improving, with vacation-home sales up 10% in 2012 after falling 56% between 2006 and 2010, according to the National Association of Realtors, a Washington trade group. But the pace of increase is well below the 17% gain in sales of primary homes last year. One reason: Buying a second home is a luxury. “A vacation home is the ultimate discretionary purchase,” says Paul Bishop, vice president of research at the Realtors group. Nor are vacation properties likely to attract the attention of hedge funds and other investors that have scooped up bargain-priced homes in many markets and turned them into rentals, winnowing inventories and helping push prices higher. Your price point, too, can make a difference. In Park City, Utah, for example, single-family homes priced under $1 million “are selling in days,” says Dennis Hanlon, an associate broker at Summit Sotheby’s International Realty. But activity is slower for properties priced over $2 million, he says. For vacation areas, it often is harder to get a clear sense of the value of a home, Mr. Kolko says, in part because a small difference in location can make a big difference in a home’s value. 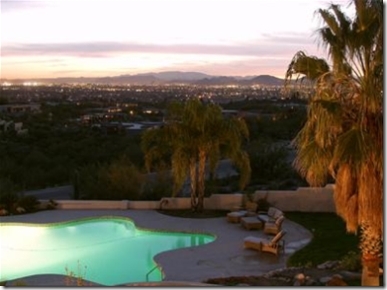 Properties closest to the beach or mountains, and ones that have the best views, typically command the highest prices. In Vail, Colo., “a view straight up the mountain can add $100,000″ to a home’s value, says Kathy Cole, a broker-associate at Coldwell Banker Distinctive Properties. Find an off-season bargain. The supply and demand for homes is cyclical in many vacation markets, presenting opportunities for patient buyers. In Martha’s Vineyard, “the best time to make an offer is typically in late October, November and December, especially for houses that have been on the market since the beginning of the year,” says Doug Reece, broker-owner of Re/Max on Island, noting that sellers might be reluctant to cover the costs of carrying the house for another year. That was on the 17th. And then, in rapid succession over the next three days 3 more Golf Villas went to contract. So out of the blue we suddenly have 4 contracts in 4 days when, until then, there had been just one in 6 months. Noted however is that, regardless of where they were initially priced, all of them were now listed at prices that reflect the current market. Here we are still in October and already the talk has turned to the growing number of cars on our streets with out-of-state plates. And how restaurants and shops are getting busier by the day. A sure sign of snow birds coming to roost for the winter season. 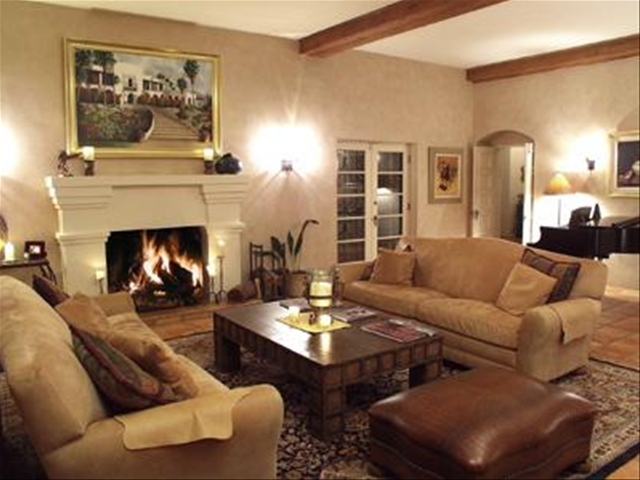 And, of course, in the hallowed halls of real estate everyone is revving up for the arrival of our winter visitors. The hope, or expectation, is that their arrival will bring a surge of home buying here in the foothills that will pull us out of our doldrums. So you’ll see more advertising for homes and more open houses and, for sure, there will be a slew of new listings coming to market to meet the hoped-for demand. Just the other day I had a conversation with some clients about how the attitude of sellers and their listing agents will change once January rolls around. January is opening day for the winter season and, with its arrival, sellers and their agents get all puffed-up and confident. They become more confident of getting a good offer and, in turn, become less flexible about what they’re willing to accept. And because there are more buyers on the streets, it stands to reason that they would. Because for many years that’s how it worked. Come January, snow birds would arrive and home sales in the foothills would take off like a shot. And that seasonal rhythm has become ingrained and second nature. But our winter visitors, whether they’re from Chicago, Des Moines or Kansas City, are not from another planet. And they are not going to arrive with pockets full of cash and a care-free, free spending attitude. They are not. and as much on the lookout for a bargain, as everyone else has been. So rather than getting all puffed up and confident, the best thing sellers and their agents could do, that is if they wish to take advantage of this fleeting opportunity, is to get their prices down to where buyers see their homes as an opportunity that is just too good to pass up. One that may not come their way again. Otherwise, those winter visitors are going to go home to Des Moines with nothing more than some cactus jelly and frozen tamales and maybe think about having another look at the foothills in 2012. In the popular second home community on the north side of La Paloma, 6210 N PLACITA PAJARO sold today for $650,000 ($264/sf). All fine and dandy. But two years ago, when the sellers were buyers, they paid $770,000 for it. And that was in May 08, a good two years into the bust. But pre-Lehman, but just. 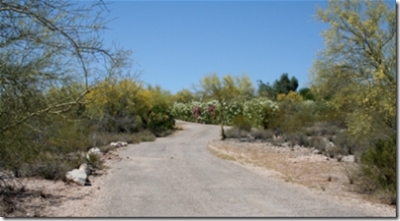 Contracts for lower to lower-mid priced homes in La Paloma are moving along very nicely. Since April 1st 6 homes, priced $275,000 to $674,000, have gone to contract in La P.
And since Jan 1st, 14 homes have sold – $265,000 to $700,000 -then 1 at $1,100,000. And interesting, all 14 sold in March and April, with not 1 single sale in Jan or Feb.
where there are 4 for sale priced $810,000 to $2,495,000 – and where just 2 homes sold in 2009. But one was a biggie at $3,250,000. 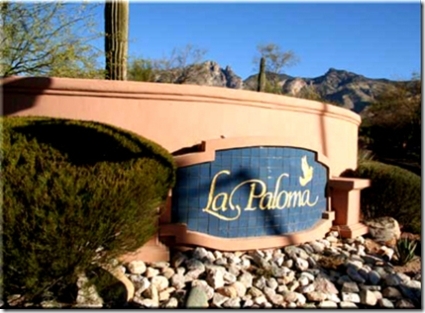 Many of the homes that have gone to contract and sold in La Paloma are destined to be 2nd or 3rd homes. Vacation homes. So it’s nice to see that someone still has the bucks for a substantial discretionary purchase. Shopping for a home in La Paloma, click> La Paloma and see them all. There are currently 32 for sale, $250,000 - $2,495,000. In La Paloma, listed for $479,000 - 6226 N Via Paloma Rosa was on the market for about a year before it finally went to contract this past January. And then, unfortunately, after sitting in escrow for four weeks, it fell out of contract and was back on the market again. Don’t you hate that. But here’s the good news. Less than three weeks after going back on the market it went under contract again. And today it went from Active Contingent to Pending – so it’s almost a done deal. Almost. At least it didn’t take another year to find another buyer. And that’s a good sign. 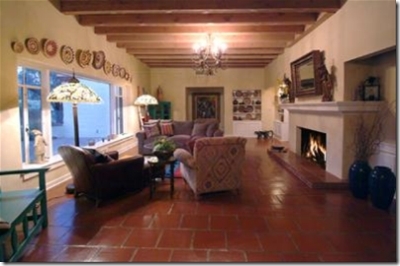 We’ll see, but there is a lot of competition in Ventana Cyn golf villas. 16 currently for sale, $394,900 to $620,000 and just 1 under contract and 1 sold in the last 3 months. I wouldn’t hold my breath. on the bright side, the two highest sales, $950 & $1.3, were also the most recent sales – late July and mid August. Because it’s so well located, beautiful, peaceful and private, and offers a good selection of smaller, low maintenance homes, La Paloma has long been popular with the Foothills 2nd home crowd. But since so many of them are bought as 2nd homes - and therefore a completely discretionary purchase, because let’s face it, when it all hits the fan no one has to have a 2nd home – their popularity has waned. And so, unlike past years, there are quite a few for sale and very few selling. I mentioned this yesterday to a friend and client who is thinking about buying a smaller home in the Foothills, and was wondering where he might find a nice smaller house and a good deal. Looking at homes priced up to $800,000 in La P over the past few years, here's what I found. This data is for Jan 1 – May 27 for each year noted. the average and median list prices of homes currently for sale are practically identical to what sold prices were at the peak of the market in 2006. Consequently, we sit with $21,857,290 of unsold inventory waiting for buyers. And sales for these 2nd homes are even more seasonal than for your average Foothills hacienda, and that season is now kaput. 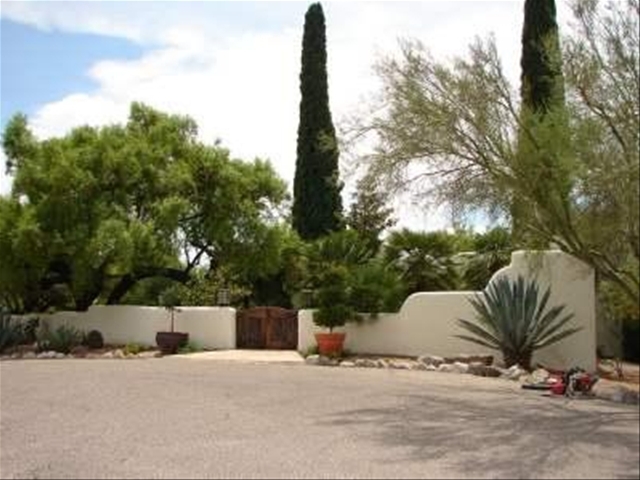 So you’d think, given the sorry state of affairs, there oughta be some deals to be had in La P.
In the last 14 days 31 homes went to contract in the Tucson Foothills, and 31 of the 32 were listed at $750,000 or less. 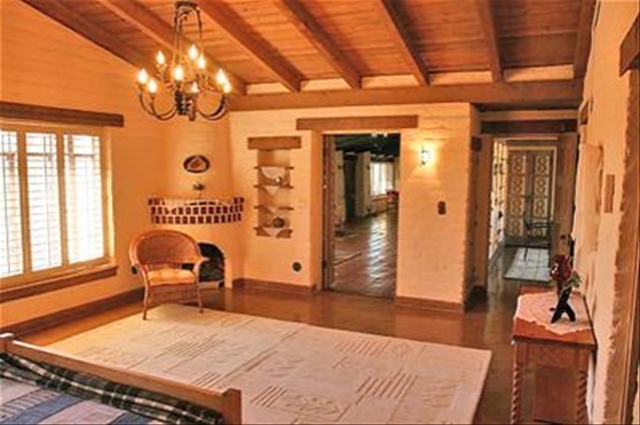 Above that, just one lovely old Joesler at $1,990,000 found a buyer. Yet there are buyers out there shopping at $1.0m and up, I'm working with 4 of them myself, but they're in no rush, and not about to make a move until sellers get real. and it fits the bill nicely for 2nd home owners in the Foothills. single story, built in 2005, listed for $725,000, with wonderful mountain and golf course views. As recently as last spring homes like this, with mountain and golf course views in La Paloma, were in big demand and short supply. And now, even though the supply remains limited, they have not escaped the woes of the real estate slowdown. They're selling, but more slowly and for less money than in the past. This owner/seller paid list price, $769,000, in 2006.
not up, listed it for $44,000 less than he paid. That may or may not do the trick but, when a buyer sees that, they see a seller who is prepared to deal with the realities of the market, and who doesn't expect the buyer to make up for what they lost in a down market. I had that conversation today with someone from out of town who is interested in buying a home in the Foothills. I told them they would pay a premium for a home in the three gated/golf course communities. Because they're private, guard-gated, beautifully landscaped, well maintained, and they have golf courses running through them. And because of that, they're exclusive and prestigious and, some people are all too happy to pay extra for those amenities. Others aren't. And except for La Paloma, which somehow keeps coming up with new ways to expand, they're not making any more land in the these communities. But they didn't ask what the premium is, if they had I would have had to guess. So I thought I'd take a look and compare the golf communities to non-gated Foothills homes and try to get an idea of what the premium might be. Here's what the numbers look like for homes sold over the past three months. So there appears to be a premium, though looking at the numbers I still couldn't say exactly what it is. But for lack of more concrete evidence, I would suggest that the $/sf costs might be the best guide. I also tried pulling up similar homes that have sold recently, in the golf course communities and in non-gated areas, to make a more direct comparison, but because sales have been slow, I wasn't able to find comparable homes. Also, if you're comparing the golf communities to, let's say, the Canyons, Cobblestone, Pima Canyon or Cat 10, then you're pretty much on equal footing, because you can easily pay as much, or more, for a home in those places as in the golf communities. 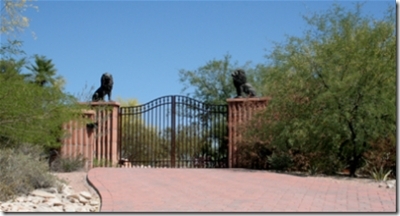 The other thing to consider is that HOA fees in gated communities are always more than in non-gated areas. That's because the gates have to be maintained and the guards paid, and the streets within gated communities are private and therefore maintained by the HOA. Plus there's common area insurance and landscaping fees and, if there's a community pool/spa or other facilities, those are also paid by the HOA. If you're considering a home in the golf communities, currently there are 86 to choose from, priced from $290,000 to $3,995,000, which pretty much reflects the range of prices in the overall Foothills market. We don't get as many New Yorkers migrating to the Tucson Foothills as we do people from the mid-west and the west coast, and it sounds as if we may be seeing even fewer of them in the coming months. On the other hand, since the Foothills are a lot less costly than say, the Hamptons or Palm Beach, maybe we'll emerge as an amusing and thrifty alternative. Because believe me, I lived there for 25 years, and eventually, you've got to get out of N.Y.C. Some of the most popular choices for second home buyers in the Tucson Foothills lie within our three gated golf course communities. La Paloma, Ventana Country Club and to a lesser extent Skyline CC, offer a variety of homes that are particularly well suited to the many second home buyers who venture this way come winter. The attraction of these communities is the convenience of location, services, amenities and the security they offer. Most have community pools and spas that are heated throughout the year. Club facilities, walking trails and the golf course are right at your back door, restaurants and shopping are a stone's throw, and all are 24 hour guard-gated for security and privacy. 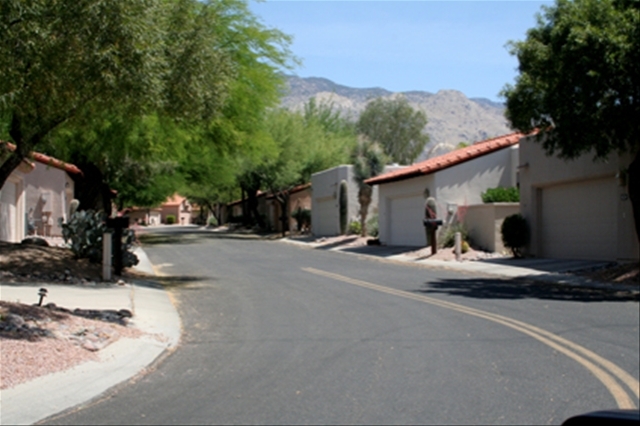 The homes are low maintenance on smaller lots, and street-side landscape maintenance is usually included in the HOA fee. They range in size from about 1500 to 3000 sf, though I've found that most people's needs fall somewhere in the 2000 to 2500 sf range. At that size they usually have 3 bedrooms, or 2 and a den, 2-3 baths, and kitchen, living and dining areas combined into an open great room. Out back there's usually a covered patio and a nice easy care yard for dining, daydreaming and catching a few rays. And by far, the scarcest and most popular are those with views of the golf course and mountains, which of course means they sell the quickest and for more money. As a rule, these 2nd home homes range in price from about $350,000 to $850,000. But here's the tricky part if you're searching for them online. 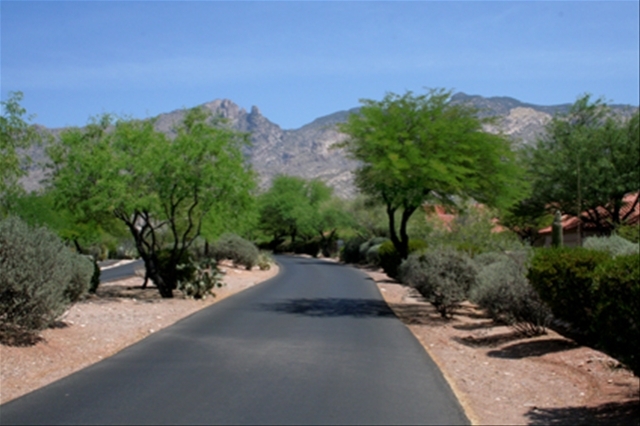 Within the communities of La Paloma, Ventana and Skyline there are a number of different subdivisions where the homes are located, each with it's own subdivision name, HOA, CC&R's, etc. So if you search La Paloma as a subdivision, you may not find the homes located in - Ridge 4, Vista Serena, Paloma Ridge, Villages 2&4 At Villages Of La Paloma, Paloma Del Sol, etc, etc, - all of which are subdivisions within La Paloma. Same applies to Ventana and Skyline. What to do? drop-down menu in the upper right corner and select, Price Lo to High, so you won't have to scroll through all the multi-million $ listings. It wasn't so long ago that it looked as if the Foothills were becoming a community of mostly high-end homes. After years of chugging along at 20 to 30 sales per year, in 2004 luxury home sales swung into high gear. Pima Canyon had a lot to do with it. 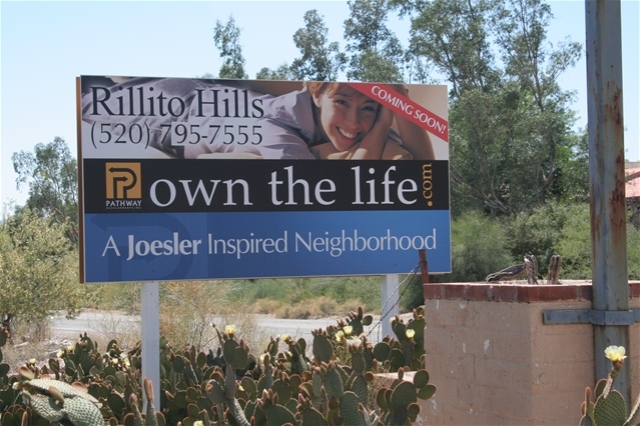 With almost 300 home sites in a new luxury gated community, and a big PR blitz, it popularized the notion and broadened the appeal of luxury living in the Tucson Foothills. And this was just in time for the wave of well-off baby boomers starting to look for their place in the sun. And pretty soon everyone who could swing a hammer got into the act, and so-called luxury homes started popping up wherever one could be squeezed in. And of course it got out of hand, and along with poor timing, the mortgage meltdown, the economic crisis, and denial that the party would ever end, the million $ market is now limping along with lots of inventory and few sales. Where do we go from here. Are people going to give up on finding their place in the sun, stop looking for a spot to retire or buy a second home. The mood of the moment notwithstanding, will they lose their taste for luxury or the easy southwest lifestyle that the Foothills affords them. We'll see. January is right around the corner, and it'll be the first test, because that's the beginning of the high season for home sales in the Foothills, particularly luxury sales. And because there's a lot at stake, I'm sure that every Realtor® and every home seller is waiting on pins and needles to see how this one shakes out. I know I am. True, our market here in the Foothills didn't peak until late winter-spring of 06. But in my experience, the Foothills market has lagged both the up and the downsides of the total U.S. real estate market. It peaks later, but also recovers later, particularly in relation to markets in NY, Chicago, Minneapolis, Seattle, Denver, etc, where many of our new residents migrate from. Because while a big piece of our market is in second homes, the other big piece is retirement homes. And most retirees need to sell their home back home, before they jump in and buy in the Foothills. Each month I participate in a housing industry survey conducted by Credit Suisse. And I just received the results of the September survey, which has some encouraging news about the Tucson metro real estate market. Inventory levels near stabilization. Our home listings index increased to 39.5 in September, up from 37.5 in August (with a level of 50 indicating flat inventories sequentially with levels above 50 pointing to falling inventory levels). Denver, Las Vegas, Minneapolis, Sacramento, Sarasota, Tucson, and Washington, D.C. were among the markets showing flat or falling inventory levels in September. We continue to believe that declining inventory levels are necessary for home price stabilization. And that's very encouraging news for the Tucson metro market. But unfortunately in the Tucson Foothills area, inventory levels have not declined and remain relatively high. Why? There are a couple of things about the Foothills market that I see are holding it back right now and contributing to higher inventory levels. Homes prices in the Tucson Foothills are much higher than most other areas of Tucson, so buyers often need a jumbo mortgage to purchase here, and jumbo mortgages have by far taken the biggest hit from the credit crisis. As a result, many fewer buyers are able to qualify for a jumbo, and if you can qualify, the rates and fees are higher, and so buyers end up with less purchasing power. Also a much higher percentage of Foothills buyers are making a discretionary purchase. They're looking for second, third or retirement homes in the Foothills, much more so than in other areas of Tucson. And when the economy is weak and confidence is lacking, it's those discretionary non-essential purchases that go out the window first. 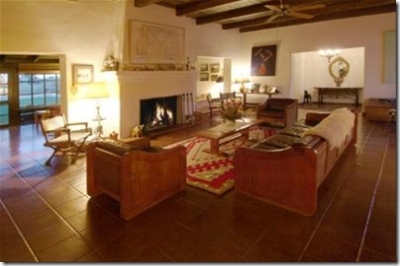 In the piece I did yesterday I mentioned that Villa Milano at Rancho Sin Vacas has been slow to get off the ground. I was reminded of Villa Milano, and wrote about it because it came up the day before in a conversation with a client friend of mine about Foothills real estate and opportunities and what's happening, etc. So I went home, did a little research and wrote that piece. And I ended that post saying that since prices had come down recently in Villa Milano, sales had picked up a bit, and that maybe things were changing (for the better). I spoke too soon. at Villa Milano were busy (making a liar out of me) raising prices. after I just got done applauding them. Imagine that! Here are a few examples of what they did. So now the 12 units they raised prices on are listed for an average of $349.50/sq. ft. And the four units that sold in the last six months- sold for an average of $224.82/sq. ft. See anything here that doesn't quite add up. And by the way, none of those recent sales were builder units. They were all re-sales. Makes you wonder what they're thinking. Or if. Are they so giddy about the few recent sales they believe things are now on a big upswing and it's all hats and horns from here on out. Who knows. So I take back everything I said yesterday about Villa Milano. It does look like things are changing, just not for the better. Developed in 2005, Villa Milano at Rancho Sin Vacas is a small single family & town home community here in the Tucson Foothills that has been slow to get off the ground. It's in Sin Vacas, a very nice guard-gated community high in the Foothills. And the homes are beautifully designed, built and appointed. 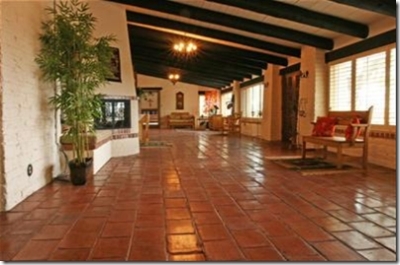 They're nicer (in my opinion) and much newer than comparable homes in La Paloma or Ventana. And because of their convenient location and being in a gated community, they're ideally suited to second home owners. But for some reason they haven't captured people's imagination. I've mentioned them to clients looking at similar homes in Ventana or La Paloma, and explained the slow sales scenario, and that was that, we never went up for a look. So slow sales lead to even slower sales. According to the MLS there are 21 for sale and just 9 have sold in the last three and half years. Maybe it's because there's no golf course, or because they just don't have the cachet of La Paloma or Ventana. But one thing's for sure. When it was first developed and for a long time after, the homes were priced as if they were the only game in town. And unfortunately it's taken them about three years to realize they're not. Now prices are finally down, and maybe things are changing. Because of the 9 homes sold in the last 3 1/2 years, four of them have sold in the last 5 months. So we'll see. Oddly enough it's turning out to be a busy week for me with buyers from out of town. Oddly, because given the general scarcity of buyers of any stripe in this wobbly economic and 100° Tucson climate -suddenly having a few out of town buyers is an unexpected treat. Because if I had to pick my one favorite thing to do in real estate, it would be working with out of town buyers. Lots of people come here from somewhere else, and most of them have a limited knowledge of the different kinds of housing and locales and settings that are available in the Foothills. 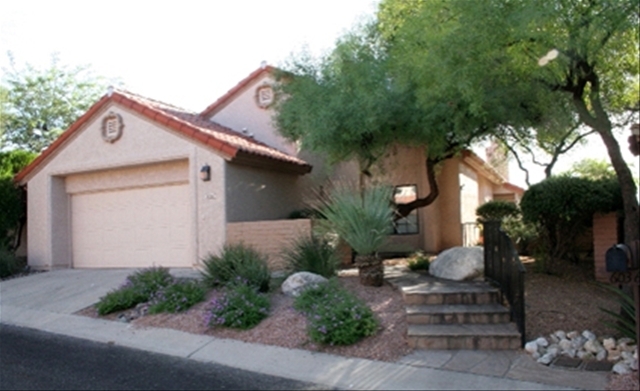 3000 sf, 4 bedrooms/31/2 baths with a pool for $850 can go a lot of different ways here. So there's more to it than just finding a house. There's a process of learning, and discovering the possibilities that makes working with out of town buyers particularly interesting, challenging and fun. And in the end, after we've peeled away the layers and whittled it down and found the one that's right for them, it's special. Many of the people I work with from out of town end up buying a house that's different from what they had in mind before we started. Because before we started they had no idea that that kind of house or setting even existed. And when they find out it does, they're thrilled. And that's what it's all about. In the Tucson Foothills we have our in-seasons and our out of season seasons. January through May is our in-season in the Foothills. Snowbirds and second home owners are here en masse, and showings and sales of homes are at their busiest time for the year. As June arrives and temperatures head into the triple digits, winter visitors and second home owners have left town and everything slows down, including home sales. It's like clockwork, it happens every year. 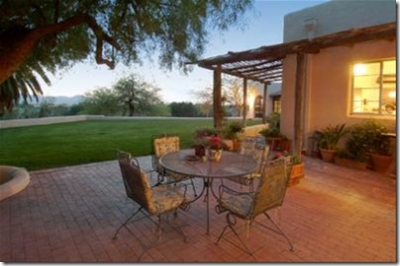 But if you can take the heat, it's the best time of year to make a deal on a home in the Tucson Foothills. It's like buying a snow blower in July, there's not much competition. Home sellers realize that sales are slow and are not going to really pick up again until next January. And when it's 100° in June and the showings are few and far between, January can seem like an agonizingly long way off. Your offer is the bird in the hand. In addition to the regular seasonal slow-down that summer usually brings, this is now the third year in a row of slower home sales overall in the Foothills. Because of that we have a relatively large inventory of homes for sale, and quite a few of those homes have been sitting on the market for a long time. So our regular summer slowdown, combined with higher inventory and the continuing overall sluggishness of the market has created a situation that heavily favors buyers, and should enable buyers to make even better deals this summer than in summers past. 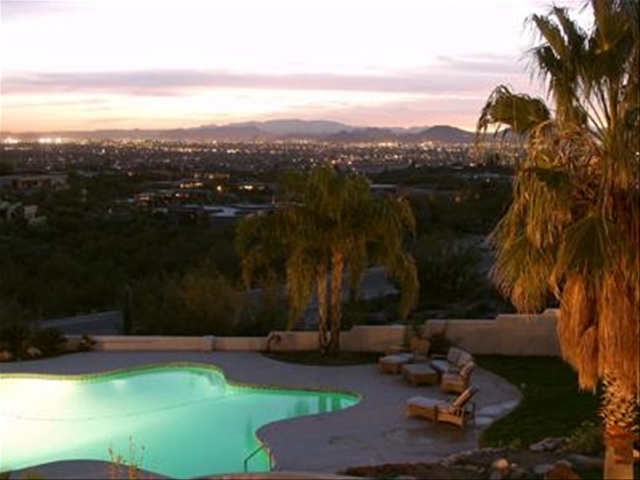 Here's what to look for and what to do to give yourself an edge when buying a home in the Tucson Foothills this summer. The more of these conditions that your subject home meets, the better your chances of making a great deal. and have nowhere to turn. You want to be able to walk away and move on to your next choice. -Make sure that your target homes are priced roughly in the ball park of where they should be. If the seller is way off in the stratosphere on their list price, that's probably not a good starting point to making a good deal. -The home should have been on the market for at least four months, and longer is better. It's less likely that the owners of a home that's been listed for just a month or two are going to be very motivated to make a great deal. -If the home is vacant that's a big plus. If it's been vacant for a long time that's an even bigger plus. But it needs to be a primary residence, or what was their primary residence. If the current owners use the house as a second home, it's probably always vacant in the summer, so that's not much of a plus. -If it's a new builder spec home, that's a big plus. And if it is, then it's almost certain that it's priced at $1,000,000 ++, and in the $1,000,000++ market there are a lot of homes for sale, both new and resale. And quite a few new-vacant-builder-investor homes. And many of these builder/investor sellers are super motivated to do what it takes to sell ASAP. They're probably holding a big note on the cost of building that big expensive home, and they want out from under. -If it's an older home and it was purchased in the last two years or so, and it's now advertised as having a new kitchen, baths, flooring, etc, and at a much higher price than the last sale, it may well be a home that was bought to fix & flip, and there may be an opportunity here too, particularly if it's vacant. -If the home has had two or more meaningful price reductions (3-4% or more) that's a good sign that the sellers want to sell and will adjust their expectations to get it done. Little token price reductions, $1000 here, $2500 there, they don't count. As a matter of fact, they're a sign that the seller is into playing games and/or they don't understand or don't care about the reality of the current market. -If there is a large inventory of similar homes for sale in that area of the Foothills or that price range, or both, that's a very useful bit of negotiating ammo. Once you find your target homes and you're ready to move forward, you'll have to evaluate each one individually to decide how much to offer and how best to structure a winning deal. There are too many variables to offer specific advice beyond the following generic tips. -make your offer as clean as possible with only inspection and financing contingencies and limit the offer to just the house and grounds, the real property. Forget about the potted plants, the furniture and the other personal stuff that you'd like to include. The seller may have a particular fondness or sentimental value for that do-dad that you've included as part of the offer, and now they're agonizing over that item, rather than concentrating on the main deal. Don't complicate the offer. -if possible, make it a cash offer, and if the property is vacant, make it a cash offer with a fast close - two weeks, start to finish. The combination of a cash offer and a fast close is hard for a home seller to resist. Boom, two weeks and they're out from under. -If you've done your best, negotiated diligently and in good faith and still can't make a deal, walk away and move on to your next choice. Sometimes walking away causes the home seller to reconsider. If not, just stay cool and keep walking. Today I read two interesting but somewhat contradictory real estate articles about the fabulously wealthy. The first in The New York Times Hints of Fear in the Land of Mansions about the slowdown of the market in Greenwich, Conn., long home to the fabulously wealthy. Sales are down 39% from last year in Greenwich, where they call the $2.0 to $4.0m price range, the meat and potatoes houses. At the more respectable end of the Greenwich market, Mel Gibson's got his place for sale for $39,000,000 and Leona Helmsley's 40 acre spread is listed at $125,000,000. But even in the rarefied air of Greenwich, the downturn is causing a touch of panic. A home that was recently listed for $11.5, then shamelessly reduced to $8.5, finally sold for just $6.9. What's the world coming to! to-do list of these hopelessly stressed lords and ladies of the manor. "While many average Americans are skittish about the housing market, some of the country's richest citizens see the current conditions as perfect for buying, according to the Annual Survey of Affluence and Wealth in America..."
"Seventy-seven percent of the wealthiest people surveyed think real estate presents a "real opportunity" right now"
"And these high-income earners are putting their money where their mouths are: 40% said they are in the market to acquire real estate this year"
"Forty-one percent of those in the wealthy category said owning a second home was "almost a requirement" for people of their economic means, according to the survey" tsk- tsk, but of course. I'm confused, but I'm glad I read this one last, I prefer Rupert's take on it. 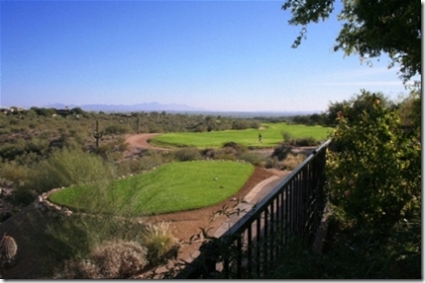 Ventana Canyon CC is one of three very popular golf course communities in the Tucson Foothills. Located high in the foothills of the Catalina mountains, it's a very private, 24 hour guard-gated community that's home to two Tom Fazio designed golf courses, the Mountain and Canyon courses. 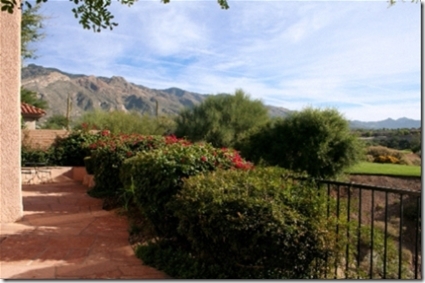 And whether it's a second home or a full-time residence, there's a lot to choose from in Ventana Canyon CC. With both townhomes and single family homes, the price range in Ventana runs the gamut from the low $400's up to $4.0 mil or more. Mountain views, homes on the golf course and spectacular city views, all in a very private golf course setting are just some of the attractions of Ventana CC. 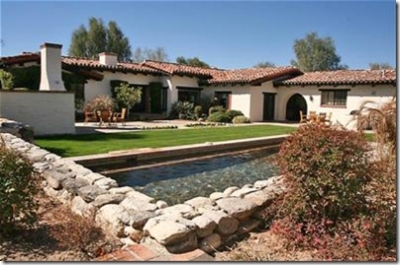 Click Ventana Canyon CC Homes to see all the homes currently for sale in Ventana. I grew up in New York City and then I lived in Chicago for 20+ years. And every square inch of those cities have been paved over and built and re-built since before the beginning of time. Growth in New York and Chicago meant knocking down a big old building and putting up an even bigger new one. So I when I moved to the Tucson Foothills in 2000, I wasn't accustomed to seeing the kind of growth that's happening here. Oro Valley and the entire Northwest Tucson area, Southeast Tucson and Vail, plus the southwest and west Tucson areas, have grown tremendously in that short time. Where once there was desert - hundreds of homes, miles of roads and homes for Home Depots and Wal Marts have sprung up relentlessly. When you read about big growth in Tucson, those are the areas that you're reading about. 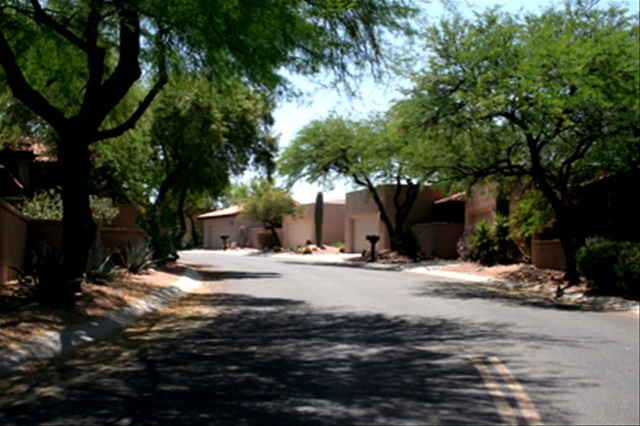 Pima Canyon, the luxury home development built in 2001. Since then, growth in the Foothills, has and will continue to be limited to the few and quickly diminishing number of good lots, and to what I charitably call, in-fill development. There just isn't any land available. 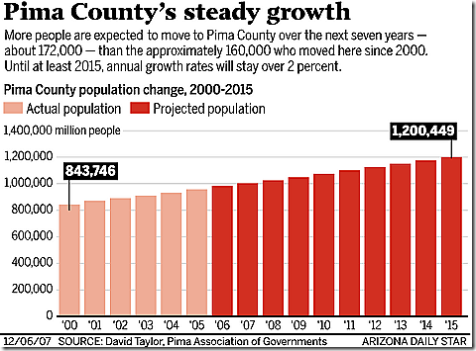 Pima County's rate of population growth will slow in the next seven years, but so slightly — despite the housing downturn — "you won't even notice," says planner David Taylor. These are the latest forecasts from Taylor, of the Pima Association of Governments, and Marshall Vest, University of Arizona economic and business-research director. Until at least 2015, annual growth rates will stay over 2 percent, where they've been for a decade-plus. "Tucson in really good years will grow 2.5 percent," Vest said. "In bad years, 2 percent." The reasons: more retirees are moving here, along with people with "a heckuva lot more money," Vest said. "People are able to move here when they don't have a job, when they don't even need a job." Some choose Tucson for second homes. The population is aging. All of that is allowing the population to grow even when the economic slowdown could bring a drop in total jobs, Vest said. And a lot of those retirees, and people with "a heckuva lot more money", choose the Tucson Foothills, because of -Location, Location, Location - there's nothing else like it in Tucson. And though I have heard rumors that there are people who actually prefer these other areas of Tucson, I've never met one myself. So as far as I'm concerned, it's just a rumor. 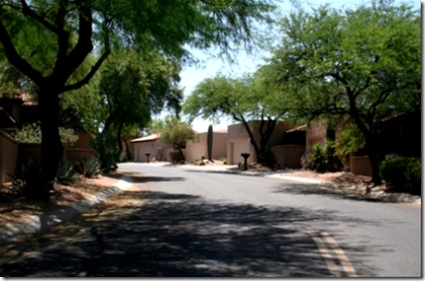 In the years 2000 thru 2003, sales of $1mil+ homes in the Tucson Foothills ranged between 24 to 30 homes sold each year. Then in 2004 that number jumped to 60 homes sold, then to 97 homes in 2005, and to 126 in 2006, about a 400% increase. Yes, in 2007 that number slipped, to 91 $1mil+ homes sold. But that's no surprise given the shenanigans of the financial markets and the resulting disappearance of jumbo loans. The Tucson Foothills, along with Northwest and Southeast Tucson, will benefit from the continued growth that we'll see in all of Pima county, but unlike those other areas of Tucson - which will continue to expand out and get bigger and busier with more and more new homes and shopping centers and roads - the Foothills won't grow, and it won't get any bigger, it will just become more and more desirable because of what it has always been and continues to be. on a home in the gated-golf course community of La Paloma in the Tucson Foothills. 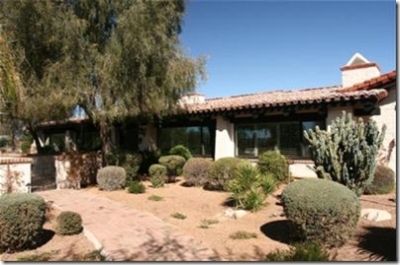 It's a wonderful home on a great lot that overlooks the golf course, and with big views of the Catalina mountains beyond. But because my clients live in another part of the country, and weren't able to drop everything and get out here licketysplit every time a home that looked good came on the market, it took us almost a year to land this one. And yes, even with the slowdown, the really good homes with golf course and mountain views in La Paloma or Ventana are scarce, and get snapped up quickly - as long as they're reasonably priced. So more than a few that looked very good, were gone before my clients could even get to town. It was frustrating for all of us. But in the end it was worth the wait, because it's a great second home at a fair price, and they're very happy with it. On the other hand, some other out of town clients of mine who wanted the same type of second home in La Paloma with great views, ended up buying it sight unseen. From the very beginning they told me that they would never be able to get out here in time to see it first, before making an offer. So as soon as the right one came along, I took a lot pictures and after talking with them about it in some detail, we made an offer, got a counteroffer, and soon had an accepted contract. And we went through inspections and escrow and closed on the house, before they ever saw it. And we did it quickly, start to finish it took about five weeks. And when they did see it, they too were very pleased. Every time I've worked with clients wanting this type of home - with a great view in La Paloma or Ventana - it's always been a matter of having to act quickly, or lose out. It's simple supply and demand -more people want one of these homes than there are homes for sale, particularly at this time of year when the snowbirds are here. But if having a view isn't important to you, then it's another story. You can take your time and shop around, because there are usually quite a few to choose from, and of course you'll have a lot more bargaining power to boot. 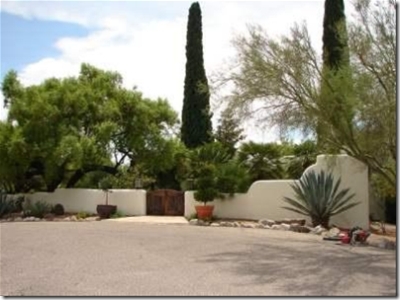 to search for and learn more about Tucson Foothills Homes, including second homes in La Paloma, Ventana and other great Foothills locations. For years now our Canadian neighbors have been flocking to the Tucson Foothills, Scottsdale, Phoenix and other parts of sunny Arizona to escape their harsh winters, defrost and loll around in our sunny climate for a few weeks. But until recently, the loonie traded at a deep discount to the US dollar, so renting a home or condo and spending winters in Arizona was a fairly expensive proposition for Canadians. And buying a vacation home in the US was limited to the lucky few who could afford to buck that weak exchange rate in a big way. to get it while the getting's good. This reminds me of the 80's and 90's when I worked in the advertising business in Chicago, and frequently went to Toronto and Vancouver to produce television commercials for our clients. Back then the Canadian dollar was at about 65¢ to the US dollar, so shooting in Canada was a bargain, we'd save 30% or more. And it was just as easy, and a nice change of pace, to fly up there to produce commercials as it was to fly to LA, so it was a no-brainer. Word got around quickly, and soon Toronto and Vancouver were over-run with American advertising, TV and movie producers up there shooting for the American market. This resulted in big and lasting growth in the Canadian film industry. Film crews and equipment, sound stages and related services, which were in short supply at first, ramped up to meet the demand. This provided a huge boost for the Canadian film industry and all the services related to it. It was a win-win for all. 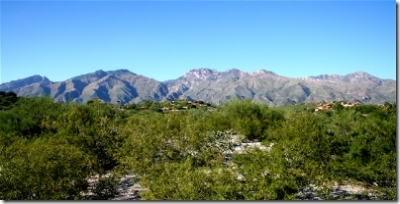 maybe the Canadians will return the favor and give our real estate markets a little boost, while taking advantage of a fleeting opportunity to buy a vacation home in the Tucson Foothills. Despite the slower sales of homes, in general, in the Tucson Foothills, one category is showing a sudden and definite uptick. Ventana CC and La Paloma CC are suddenly getting picked off at a very healthy pace. And with just one exception, it's the homes with the best golf course and/or mountain views that are selling, the rest are sitting it out. These golf course homes range in size from about 1800 sf to 2500 sf, and are priced from the mid $500's up to about $700K. With slower home sales in the Catalina Foothills, and the havoc wreaked by the mortgage fiasco, the jury was out on whether or not sales of these very special properties would take off again once the winter visitors started arriving in October. And even though the season has just begun, it looks like we now have the answer to that one. In the last three or four weeks eight of them have gone under contract or sold. That's a very good clip, given that there were only ten available with good golf course/mountain views. About half of these homes sat on the market over the summer and the rest were just listed for sale in the last month or so, in anticipation of the arrival of winter visitors. These homes have always been in short supply and high demand, and despite the slowdown in sales, it looks as if that will continue to be the case. 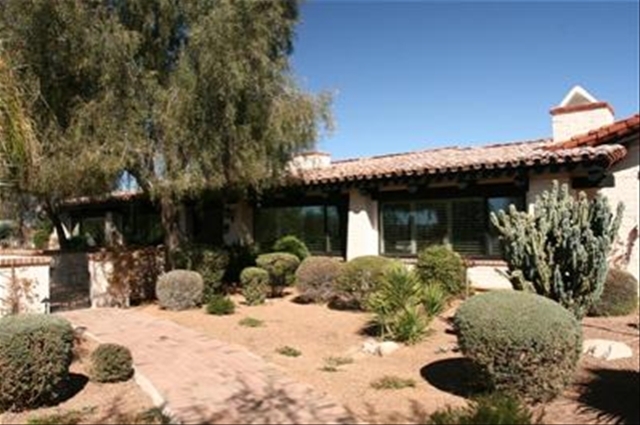 If you want one of these prime golf course homes in La Paloma or Ventana, you've got to be ready to pounce. Come fall the snowbirds will begin arriving in the Tucson Foothills for the new season, which runs from late September through May. the rhythm of their winter lifestyle, while many of those who've been renting for a season or two will be looking to take the plunge and buy a second home in the Tucson Foothills. 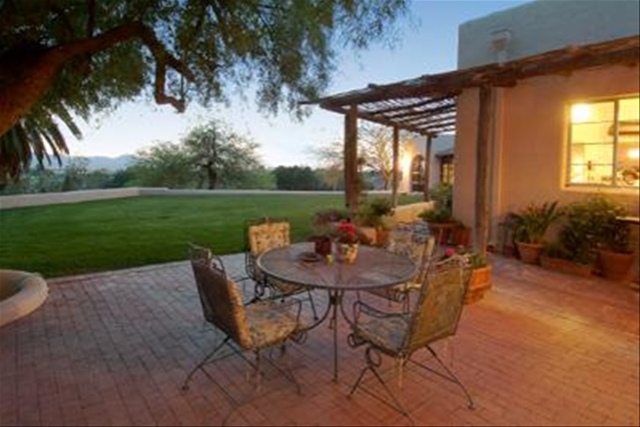 La Paloma golf course and country club, combined with the beauty, privacy and security of living within its gates, is one of the top choices for the many second home owners who flock to the Tucson Foothills year after year. And despite La Paloma's reputation as an expensive and exclusive enclave just for the wealthy, it offers a surprisingly wide choice of homes, priced from about $400,000 up to $3,000,000. Divided by Sunrise Drive, the La Paloma residential community and golf course meander through the central foothills. On the north side of Sunrise Dr are the more moderately priced La Paloma homes, while on the south side home prices start at about $1,200,000. 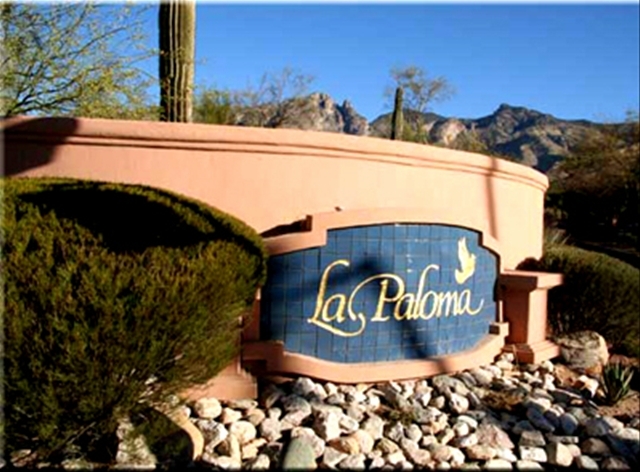 The south side of La Paloma is where the Westin La Paloma Resort and the La Paloma Country Club are located. The resort, with half a dozen restaurants and cafes including the justly famous Janos and J Bar is a popular spot with Foothills residents, while membership in the country club offers dining, health and fitness facilities, tennis, swimming, and of course golf. And just a 3 minute hop from La Paloma are the galleries, shops and restaurants at La Encantada, Casas Adobes Plaza, St Phillips Plaza and others. La Paloma, that's north of Sunrise Dr, that are priced from about $400,000 to $650,000, a very popular community and price range for Foothills second home owners. Looking at the map, you can see these homes clustered along Campo Abierto, Calle Cayo, Via del Verdemar, Misty Ridge Dr and other smaller streets. La Paloma. Homes in this part of La Paloma are priced from about $400,000 to $1,200,000, with a great many in the $400,000 to $650,000 range. 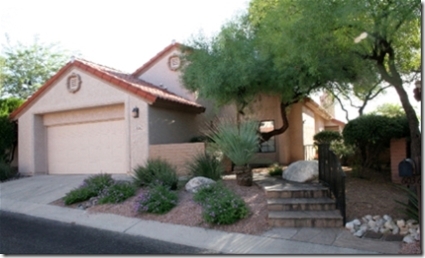 In this area (above & below) homes are generally in the $400,000 to $650,000 price range. The homes on the right side back up to the golf course, and usually have good mountain views too. Like this one, which I sold recently for about $500,000. and beautiful golf course views, it sold quickly. beautiful view of the mountains and golf course. just a few days on the market. 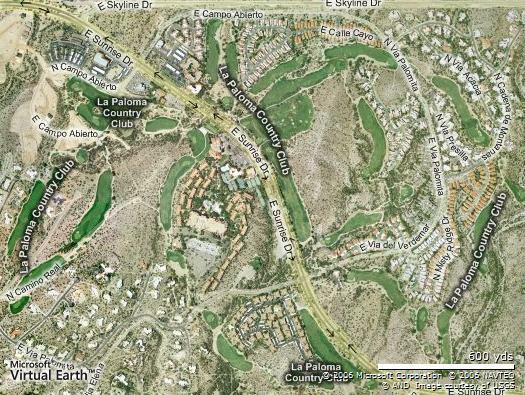 Currently there are 10 homes for sale priced from $419,000 to $624,900 in this part of La Paloma. And there are 4 under contract and 12 have sold in the last 6 months. 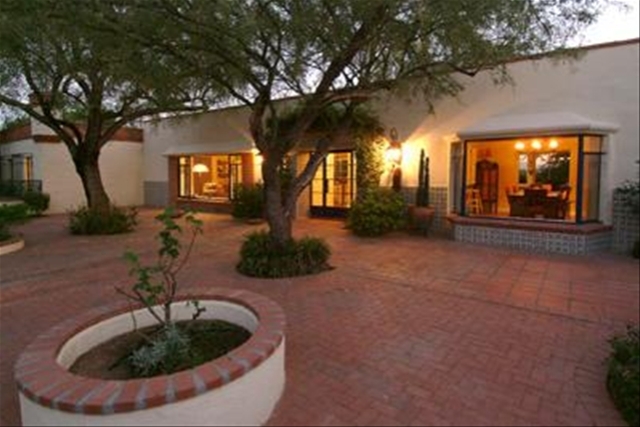 So home sales in La Paloma are doing pretty well. Though I don't have any official figures, I'd say that 50% or more of the homes in La Paloma in the $400,000 to $650,000 price range, are second, or part time homes. from 1400 to about 2200 sf. 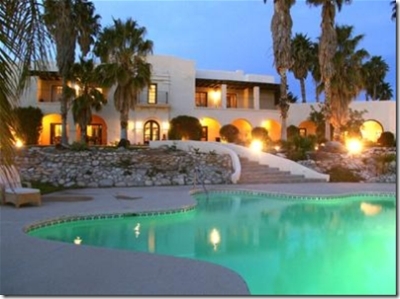 Though they don't usually have private pools, there are community pools in La Paloma for home owners use. And if you're a member of the La Paloma Country Club you have access to the pool, fitness facilities and other amenities of the club. These are easy in, easy out, low maintenance homes that are perfect for the second home owner. For perspective, I thought it would be a good idea to start this series on 2nd homes in the Tucson Foothills, by looking in the area and at the homes where the second home movement all started back in the 1930's. As I mentioned in the introduction to this series last week- the 2nd home market in the Tucson Foothills -the second home movement in the Tucson Foothills was started back in the 1930's by John Murphey, the founder and developer of the Catalina Foothills Estates, who in partnership with the architect Josias Joesler, set out to create a lifestyle that would be attractive to wealthy midwestern and eastern families seeking a winter refuge in a desert environment. These homes, many of which have been carefully renovated to provide the comfort and conveniences that we expect today, while maintaining the essence and character of Joesler & Murphey's vision -are large, expensive homes - 5000 to 7500 sq ft or more, priced at $1,500,000 and Up -and so they are within the reach of relatively few homebuyers. And like a vintage Dusenberg, they're tough to find, expensive when you do, and finicky to maintain. 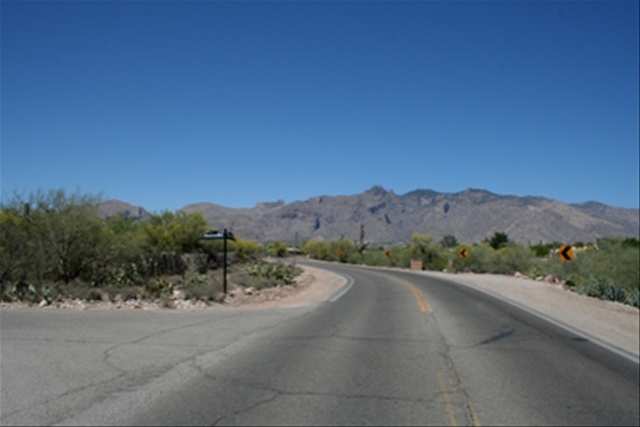 The original Catalina Foothills Estates is ideally located in the center of the Foothills, bordered by Skyline Dr on the north, River Rd on the south, Hacienda del Sol on the east side, and extending to about a third of a mile west of Campbell Ave on its west side. Here we are cruising north on Campbell Ave from River Rd, which cuts right thru the original Catalina Foothills Estates. 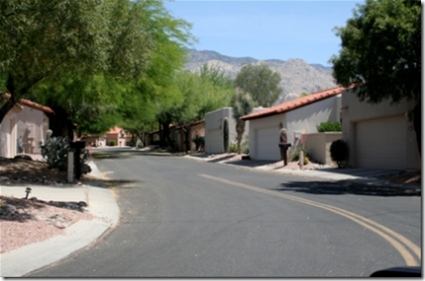 it's one of the best streets in the Old Foothills for large Joesler estates built in the 30's and 40's. I count 9 Joeslers within about a 1/2 mile of this intersection, including the Lee Marvin residence on 12.2 acres. 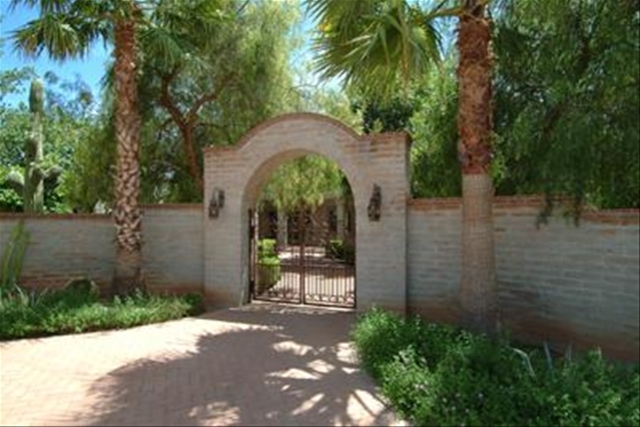 In the following pictures, you'll see that these homes are very privately located, up on a hill or tucked back and away from the street, behind gates and desert foliage. Turning north onto Calle Ladero, there's a Joesler behind this entry gate. Joesler and Murphey's original concept of homes sited on sprawling, hilly lots, surrounded by the beauty and privacy of the natural desert has been somewhat compromised, as many of these estates have been whittled down to a couple of acres, from their original 5 to 15 acre lot sizes. Nonetheless, the acreage that they do occupy is amongst the most desirable in the Foothills today. In 2002 builders and investors started buying up these large estates and splitting up and subdividing the lots to make way for further development in the Tucson Foothills. There was no other buildable land available that comprised 7, 8 or more contiguous acres , which in turn could be converted into 7 or 8 individual parcels, particularly in the Old Foothills. Above, is an Arizona Room- a porch really, another signature. 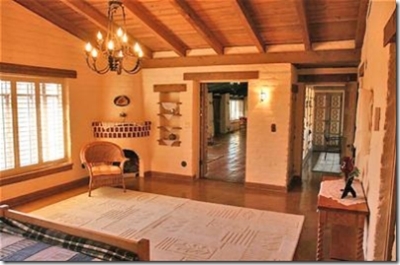 This one has been converted to year round living space, it's heated and cooled, and closed off from the outdoors. While many of these homes have been maintained, or carefully updated and renovated over the years, not all of them have been done as carefully and as well as the homes you see here. I've seen some disasters that are all but unrecognizable as Joeslers, which is very sad if you're a fan of his work, as I am. good bones adage is generally very accurate, you also get to see the quirks of a Joesler. Joesler built these homes as winter retreats for wealthy families, and it was typical for these families to have a cook on staff to prepare meals - these people didn't hang out and entertain friends in the kitchen - or they would dine out regularly, and so the kitchens in many of these Joeslers are tiny, really tiny - like the stereotypical New York apartment kitchen. Ok, so that's understandable, but the closets are also very tiny. And my vision of that era is of steamer trunks full of clothes with a variety of outfits for every occassion, from lawn tennis to an evening at the symphony. Where'd they put it all. Nevertheless, Joesler's legacy in Tucson remains without parallel. Eleven Arches, a.ka. Grace Mansion. In 1937 Louise N. Grace, heiress to the The Grace Shipping Lines fortune, decided to build a 15,000 sq. ft. house in Tucson, just for herself. It was to be designed by Josias Joesler and built by John Murphey. The story goes, that in order to assure her desire for privacy, John Murphey had her stand on the hilltop where her home was to be built while two workmen walked south carrying poles with pieces of white sheet attached. When she could no longer see the white sheets in the desert, and therefore her privacy assured, that would be the boundary for her land. As a result, Eleven Arches was built on 200 acres of prime Foothills land. In addition to being very wealthy, Ms. Grace was very well connected socially, and Eleven Arches was a popular gathering place for soirees attended by politicians, movie stars, ambassadors and the like. After Louise Grace died, Eleven Arches changed hands again and again over the years, and with each new owner some of the acreage was sold off and the house slipped further and further into a state of disrepair. Until 1976, when it was purchased for $275,000 along with the approximately 50 acres of remaining land. 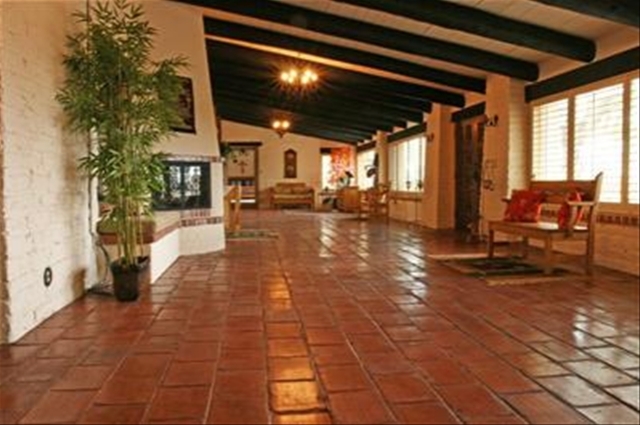 At that time it was extensively renovated, to the tune of $1,000,000. And then it sold again in 2000, this time for $2,800,000, with only 19 acres remaining. Someone made a fat profit on that deal. But this new owner didn't stay very long, because in early 2004 it was again listed for sale, now for $3,490,000, and with just 5 acres of land remaining. After languishing on the market for more than a year, the property was turned over to an auction house who ended up selling it 2 days before the auction for $2,200,000, now with just 3 acres of land remaining. If you drive by Eleven arches today, it's hemmed in on all sides by new $1,000,000 homes built on land that used to belong to Eleven Arches, as it cowers in shame at the top of the hill. The Tucson Foothills is the second home to a great many people who come here from all over the country. They come here to enjoy our warm sunny winter weather, and have the freedom to be outdoors in the Sonoran desert, surrounded by the beauty of the Santa Catalina mountains. 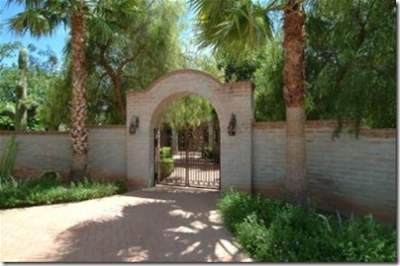 The second homeowner movement in the Foothills was started back in the 1930's by John Murphey, the founder and developer of the Catalina Foothills Estates, who in partnership with the architect Josias Joesler, set out to create a lifestyle that would be attractive to wealthy midwestern and eastern families seeking a winter refuge in a desert environment. 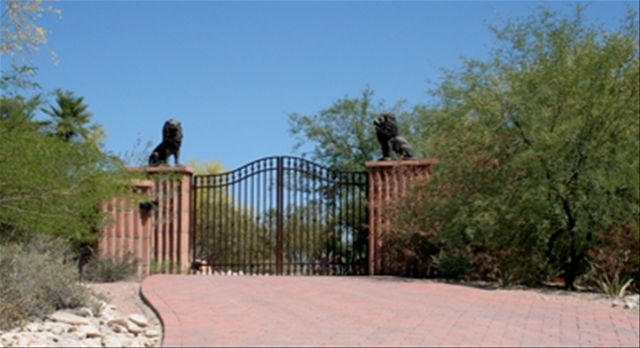 With the development of the Catalina Foothills Estates, Murphey and Joesler established a standard of large and rather lavish homes - for the time - that were surrounded by the natural desert on sprawling, hilly lots chosen for their views of the city to the south and the Catalina Mountains to the north. And that standard, though now attainable by relatively few, to this day remains the ideal of desert living for many Foothills homeowners. Much has changed in the Foothills since Murphey and Joesler set about to make it a destination for relaxation and recreation on a grand scale. In the coming weeks I'll be doing a series of posts on the second home market in the Foothills today, at how it's grown and changed, and a look at some of the popular second home communities, and the range of choices that are available for seekers of sun and fun in the Tucson Foothills. If you're a 2nd homeowner in the Foothills, I'd like to hear from you, to get your opinion and point of view about the Foothills, and perhaps include it in the posts I have planned.